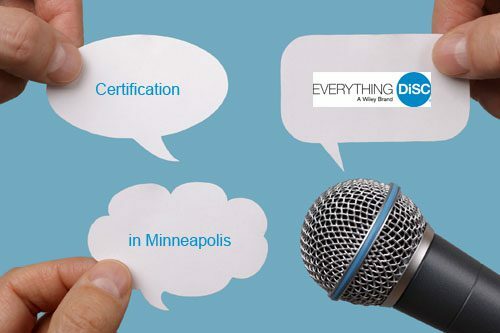 Curious about Everything DiSC certification? We were, too. It has been several years since we gained our certifications. So we called up recent attendee Brandy Ryan, director of human resources, Michigan Dental Association, and asked about her experience. 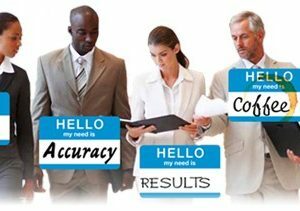 Brandy has 12 years’ experience in HR and holds Professional in Human Resources® certification and SHRM Certified Professional (SHRM-CP®). What led you to consider Everything DiSC? The way I found DiSC was that it was recommended for our board members. We had someone come in and do it, and I looked at it. I read their reports and their team reports. I thought, gosh, that would be a really good idea for a department that’s having a little trouble. So that was my familiarity with it. I thought, Wow, I really love this tool. I think our whole office could use it and we could start to use it with others. But then I’m thinking, why would we pay someone else to do it when I could be trained as a certified trainer? What was your experience with training? I say it exceeded my expectations because a lot of time when you’re trained to be certified they give you the program — they just tell you about the program. 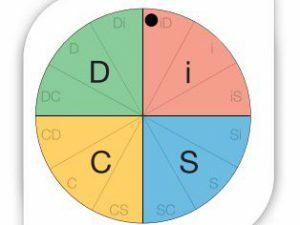 But day one was really about the history of DiSC — how it came about. You got to hear about the research and the ongoing development with it. The second day was about applications and going through all the reports. Why did you choose to take the classroom rather than online certification? In person I would be able to ask questions. I liked that it was two days instead of four or five days. Oh my gosh, we learned so much. 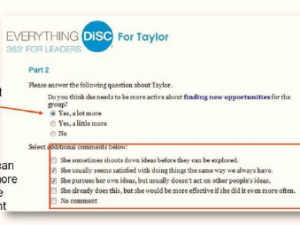 Even people who were familiar with DiSC felt like they were better equipped to administer it. Tell us about your instructors. Andy and Paula. Their styles are very different; I think they complemented each other. Andy is very high energy and fast paced. Paula would go a little slower and was very calm. They presented differently. They both kept you engaged and interested. You wouldn’t know what they were doing when they showed you a way to do something with a group. They would do it on us and then later they would show how that example could be used in our own training. Here’s one example. You go to your group: D, I, S, or C. Then they said, “Tell us what a day in your life looks like.” So every group, based on their preferences, wrote up some type of list. So i’s, of course, we had five different people jumping in with all different colors, made a big clock, and all these pictures. Then we started to talk about how it really showed how your preferences come out in different things, in different projects. This is how we think. So they did the exercises on us, but then you could see how you could use it in your own training. What was your favorite classroom activity? I liked the one where you were paired up with someone. You identified a problem on day one and then later you paired up with somebody and you basically helped them solve their problem—gave them ideas about how they could solve their problem. It was a hands on application of DiSC. I was paired up with someone who was totally opposite of me, so that was great. I think that was helpful to get into DiSC and use it. Were you able to learn from the other participants? I liked hearing their insights, but they didn’t know anything more than the instructors. I think they were surprised by how much they were learning because some of them had known about DiSC for 20 years. Have you been able to put your training to use yet? Just the overall awareness of each style. So I have my little cheat sheet card here that lists how to connect, when problems need to be solved, and when things need to get done. Already since I’ve been back, when I have to have difficult conversations, I hurry up and go through where I think this person is and look at that. It’s made conversations easier already. The Workplace Interaction Guide is a nice quick reference and refresher. Who would you recommend this training for? I would definitely recommend it for HR leaders and anybody who does work in organizational development or training and development. If you’re interested in Everything DiSC certification, check for upcoming training dates. These classes tend to fill up quickly, so don’t delay. 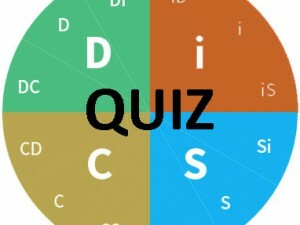 How well do you know the 8 DiSC measurement scales?